If you’ve been holding off on making your next game purchases until a big sale comes along, now’s the time to act as Valve has launched its annual Steam Autumn (Black Friday) Sale. With discounts on nearly 13,000 titles, you’re almost guaranteed to find something appealing regardless of your preferred genre. As has been the case lately, this sale does not feature any flash or lightning-style deals – everything is available from day one. In related news, Valve for the first time is letting the Steam community decide the nominees for its Steam Awards. Gamers will get to nominate games across the following eight categories – the Test of Time award, the I’m Not Crying award, the There’s Something in My Eye award, the Just 5 More Minutes award, the Whoooaaaaaaa, Dude! award, the Game Within a Game award, the I Thought This Game Was Cool Before It Won An Award award, the Best Use of a Farm Animal award and last but not least, the We Didn’t Think of Everything award. 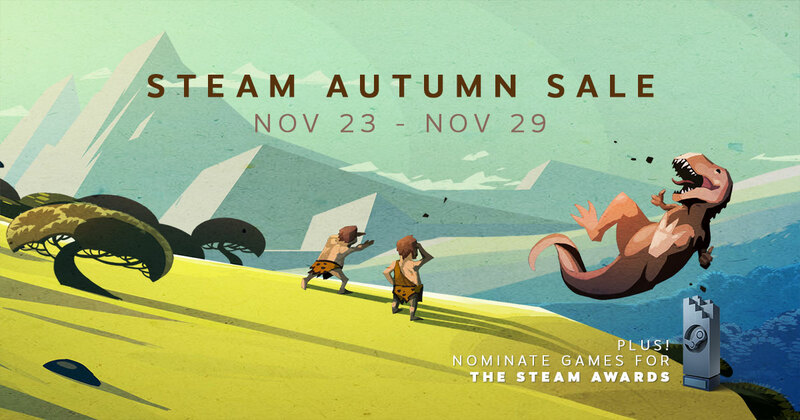 The Steam Autumn Sale runs through November 29 at 12 p.m.